Victoria Justice & Greer Grammer Keep It Classy at InStyle's Golden Globes 2016 After Party! Victoria Justice looks beautiful in a red gown while on the carpet at InStyle & Warner Bros. After Party following the 2016 Golden Globe Awards at the Beverly Hilton Hotel on Sunday (January 10) in Beverly Hills, Calif. 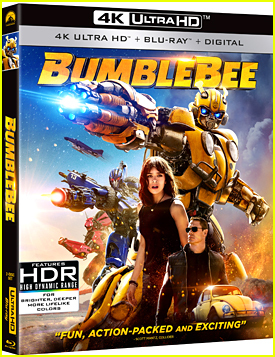 The 22-year-old actress was joined at the event by her sister Madison, Greer Grammer, Zoe Kravtiz, and Charli XCX. Zendaya rocked the same dress she wore at the ceremony at The Weinstein Company & Netflix Golden Globe Party while Mark Ballas and his fiance BC Jean hit up the Universal, NBC, Focus Features and E! Entertainment after party. FYI: Zoe is wearing jewelry by Chopard. Charli is wearing a Jaimee Lee dress and Stuart Weitzman shoes. Victoria is wearing a Bao Tranchi gown, shoes by Stuart Weitzman, and jewels by Swarovski. Greer is wearing a Michael Costello dress, Celine shoes, Farbod Barsum clutch, Erickson Beamon earrings and Amanda Marmer rings. Congrats to Mark Ballas and BC Jean — they just got engaged! According to a source, the two singers, 29, got engaged over the Thanksgiving holiday last year. “They have been keeping their exciting news on the down-low as they wanted to celebrate and enjoy the holidays with close friends and family,” the source shared with US Weekly. Just recently, Mark and BC, who perform as Alexander Jean together, performed at The Venetian in Las Vegas, opening for R5. 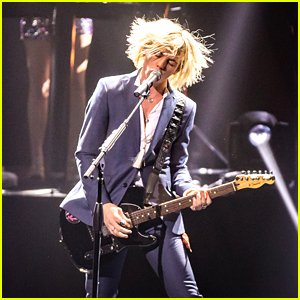 Ross Lynch shatters hair whip goal in this sharp shot from R5‘s opening night concert at The Venetian on Tuesday night (December 29) in Las Vegas. 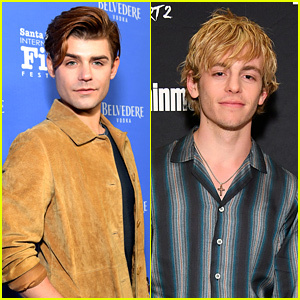 “Welcome to my birthday party,” the 20-year-old musician said to the audience ahead of the band’s — Riker, Rocky, Rydel Lynch, and Ellington Ratliff — set. Just ahead of the band, Alexander Jean (Mark Ballas and BC Jean) and Ryland hit the stage to perform. Check out all the pics and video below! Alexa PenaVega looks like she’s having the time of her life on the dance floor with Mark Ballas on Dancing With The Stars on Monday night (November 2). Team Baega won their dance off challenge against Tamar Braxton and Val Chmerkovskiy after wowing the crowd with an Argentine Tango set to “Viva la Vida” by Coldplay. “TRULY never been more proud of @alexavega AH!!! What a leader! So inspired by the David & Goliath dance. THAT’S how you spread the Message,” Alexa‘s younger sister, actress Makenzie, shared on Twitter. Alexa and Mark, and his girlfriend BC Jean, are seen arrivig at the dance studio the next day in Los Angeles. 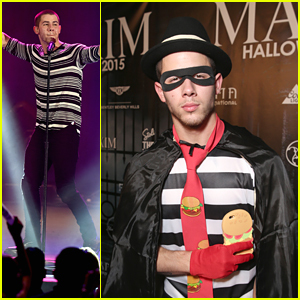 Nick Jonas dresses up as the Hamburgler as he arrives at Maxim’s Halloween Party on Saturday night (October 24) in Los Angeles. 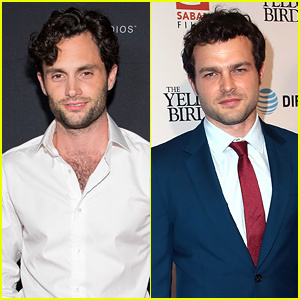 The 23-year-old “Levels” singer performed at the event which Peta Murgatroyd, Maksim Chmerkovskiy, Val Chmerkovskiy, Mark Ballas, his girlfriend BC Jean and Kyle Massey were also at. Check out those costumes! Earlier in the night, Nick hit the stage at the Hollywood Bowl for CBS RADIO’s third annual We Can Survive benefit concert. Carlos and Alexa PenaVega made everyone aww on the black carpet as they arrive at the 2015 Teen Vogue Young Hollywood Issue Launch Party on Friday night (October 2) in Los Angeles. Earlier in the week, the married couple got to work at the dance studio with their Dancing With The Stars partners, Mark Ballas and Witney Carson. “I love you @alexavega! Making me special soup to make me feel better. You are the best,” Witney shared on Twitter, after Alexa brought her some yummy soup. Later on, Witney announced her engagement to boyfriend Carson McAllister! Mark is also seen giving his own girlfriend, BC Jean a kiss goodbye before practice earlier this week.